Energy saving lamps helping to save energy and money for family budget, on the blue background. 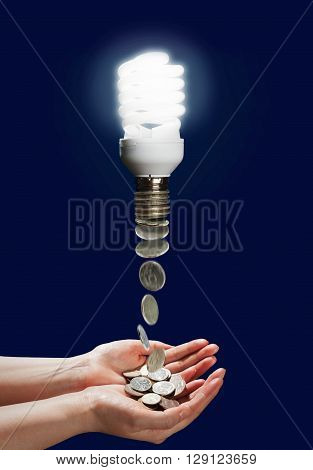 Economy of money due to using energy saving lamps. Money falling right in hands.